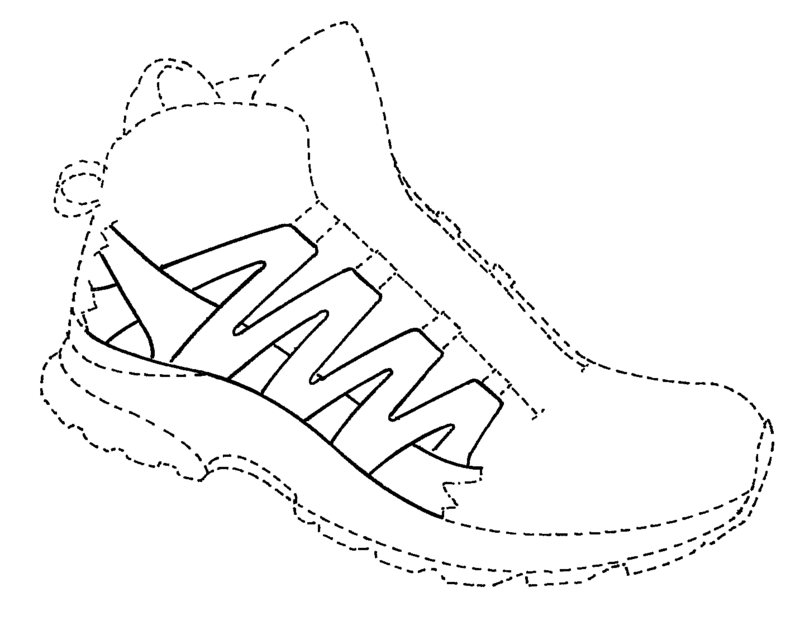 This Salomon SAS patent directed towards a portion of a side of a footwear article has been rated one of the most influential design patents in the field of articles of clothing and haberdashery. Salomon, S.A.S. was awarded U.S. Patent D622054 entitled “Portion of a side of a footwear article” on August 24, 2010. The patent has been cited 97 times by other U.S. patents, which places it among the most cited design patents awarded since 2010 according to our law firm research. Salomon SAS filed this patent on December 23, 2009 giving it a processing time of 244 days (compared to an average processing time of 406 in the field). They have a total number of 1164 patents. The first named inventor is Warren Bosomworth of Annecy-le-Vieux, Auvergne-Rh. The patent was allowed by primary examiner Dominic Simone. 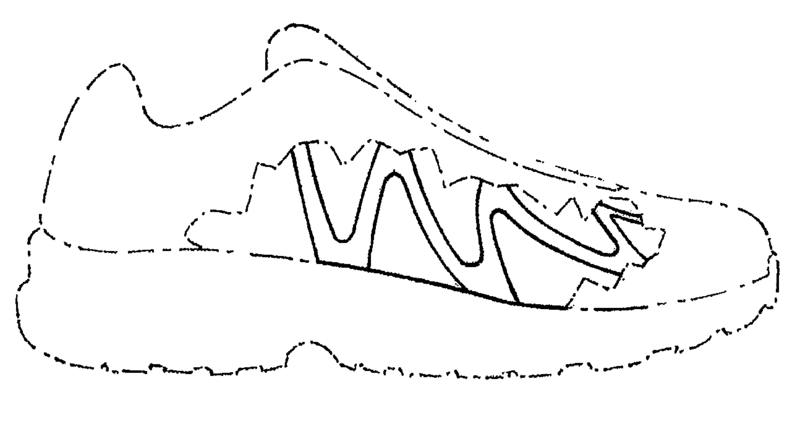 This Salomon SAS patent directed towards a lower portion of a footwear article has been rated one of the most influential design patents in the field of articles of clothing and haberdashery. Salomon, S.A.S. 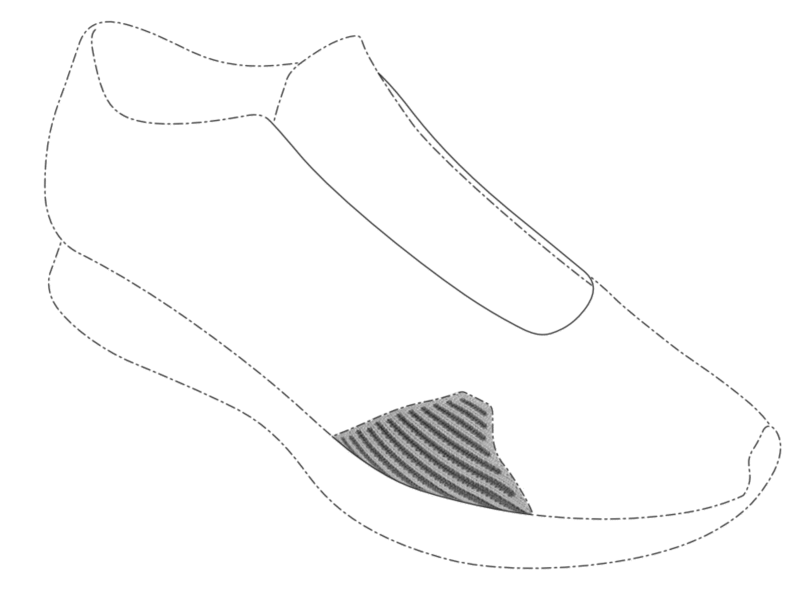 was awarded U.S. Patent D644824 entitled “Lower portion of a footwear article” on September 13, 2011. The patent has been cited 96 times by other U.S. patents, which places it among the most cited design patents awarded since 2010 according to our law firm research. Salomon SAS filed this patent on December 23, 2009 giving it a processing time of 629 days (compared to an average processing time of 406 in the field). They have a total number of 1164 patents. The first named inventor is Arnaud Leleu of Villaz, Rhone-Alpes. The patent was allowed by primary examiner Dominic Simone. This Salomon SAS patent directed towards a footwear has been rated one of the most influential design patents in the field of articles of clothing and haberdashery. Salomon, S.A.S. was awarded U.S. Patent D612145 entitled “Footwear” on March 23, 2010. The patent has been cited 92 times by other U.S. patents, which places it among the most cited design patents awarded since 2010 according to our law firm research. Salomon SAS filed this patent on January 9, 2009 giving it a processing time of 438 days (compared to an average processing time of 406 in the field). They have a total number of 1164 patents. The first named inventor is Warren Bosomworth of Annecy-le-Vieux, Auvergne-Rh. The patent was allowed by primary examiner Dominic Simone. This Nike patent directed towards a shoe upper has been rated one of the most influential design patents in the field of articles of clothing and haberdashery. Nike, Inc. was awarded U.S. Patent D668441 entitled “Shoe upper” on October 9, 2012. The patent has been cited 95 times by other U.S. patents, which places it among the most cited design patents awarded since 2010 according to our law firm research. Nike filed this patent on May 21, 2012 giving it a processing time of 141 days (compared to an average processing time of 503 in the field). They have a total number of 6995 patents. The first named inventor is Benjamin A. Shaffer of Saratoga Springs, NY. The patent was allowed by primary examiner Dominic Simone.